2- Synergistic efficacy of tramadol and meloxicam on alleviation of pain and selected immunological variables after sciatic nerve ligation in rats. Marwa Abass , Esam Mosbah, Awad Rizk , Gamal Karrouf, Adel Zaghloul . International Journal of Veterinary Science and Medicine Volume 2, Issue 1, June 2014, Pages 14– 20.2014. 3- Effect of Dexamethasone and Nigella Sativa on Inducible Nitric Oxide Synthase in the Lungs of a Murine Model of Allergic Asthma.Abdel-Aziz M.M., Abbas A.T. , Zalata K.R. Abd Al-Galel T.E. , Allam U. and Karrouf G.I. Iranian journal of allergy, asthma, and immunology ; 13(5):324-334. October 2014. 4- Evaluation of a Diagnostic Model for Aflatoxicosis in Sheep: A Prerequisite for Future Adoption of National Surveillances. 5- Control of eight predominant Eimeria spp. involved in economic coccidiosis of broiler chicken by a chemically-characterized essential oil. Elie K. Barbour, Robert R. Bragg, Gamal Karrouf, Archana Iyer, Esam Azhar, Steve Harakeh, T. Kumosani. Journal of Applied Microbiology 12/2014. 7- Comparative evaluation of the epidural dexmedetomidine, ketamine or fentanyl in combination with bupivacaine in dogs. Nour, E.M., M.M. Othman, G.I.A. Karrouf and A.E.I. Zaghloul. Am. J. Anim. Vet. Sci., 8: 230-238. 2013. 8- Surgical Management of Penile and Preputial Neoplasms in Equine with Special Reference to Partial Phallectomy. 9- Ultrasonography of normal reticulum in 30 healthy buffalo (Bubalus bubalis) Khaled S. Abouelnasr , Esam M. Mosbah , Gamal I. Karrouf & Adel E. Zaghloul Journal of Applied Animal Research Vol. 42, No. 2, 153-159 http://dx.doi.org/10.1080/09712119.2013.823435. 10- Evaluation of fentanyl- ketamine- midazolam combination for anesthesia of new zealand white rabbits: A randomized controlled study. Eman M. Nour, Khaled I. Khalil, Ahmed A. Shokeir, Golinar E. Hammouda, Gamal I. A. Karrouf and Adel El. I. Zaghloul. 10- Glasgow Composite Measure Pain Scale score and comaprison between several adjuvants in association with bupivacaine. Eman M. Nour , Mahmoud Mahmoud Othman , Gamal I. A. Karrouf, Adel E.I. Zaghloul . Life Science Journal 2013;10(3).1727-1731. 11- Critical surgical affections at pharyngeal region in horses. Marwa Abbas, Mosbah E., Karrouf G.I.A. and Zaghloul E. Mansoura Vet. Med. J. 2012. 20- Influence of selective immunosuppressive drugs on the healing of exposed dogs'dental pulp capped with mineral trioxide aggregate. 23- Incidence and Surgical Management of Some Neoplasms in Ruminants. Karrouf, G.I.A. Mansoura Vet. Med. J., Vol.9 No. 1, (51-79).2007. 24- Studies on Some Surgical Affections of the Head and Neck Regions in Different Animals. Karrouf, G. I. A., Mosbah, E and Abdel-Wahed R.E. The Fifth International Scientific Conference, Fac. of Vet. Med., Mansoura Univ., Mansoura, Egypt. 10-11 April, 2007. 25- Surgical Management of Certain Umbilical Affections in Calves and Foals. Mosbah E. and Karrouf, G.I.A. The Fourth Scientific Conference, Fac. of Vet. Medicine, Minufiya Univ ., Egypt. 26- 27 April, 2006. Minufiya Vet J., 4 (2):249-270, 2006. 26- Surgical Management of Some Ano-rectal Affections in Farm Animals. Karrouf G.I.A. Mansoura Vet. Med. J., Vol.8 No. 1, 2006 (51-79). 27- Radiological Study on Normal and Long-Standing Laminitic Feet in Drafting Equine Zaghloul, A.E.I. and Karrouf, G.I.A. The Fourth International Scientific Conference, Fac. of Vet. Medicine, Mansoura Univ., Mansoura, Egypt. 5-6th April, 2005. 28- Chemical Arthrodesis of the Distal Hock Joints Using Intra-Articular Sodium monoiodoacetate: An Experimental Study in donkeys. Karrouf, G. I. A. and Zaghloul, A. E. I. 29- Comparative Studies on Surgical Arthrodesis in Equine: An Experimental Study. Zaghloul, A.E.I. ; Karrouf, G.I.A; Seleim M.A. ; El-Sayed, G.A. and Rizk A.Z. 11th Scientific Congress Fac. Vet. Med., Assuit Univ, 5-7 Dec.: 523-552, 2005. 30- Epidural versus Systemic Administration of Alpha 2 Agonists in Sheep Abdel-Wahed R.E. and Karrouf, G. I. 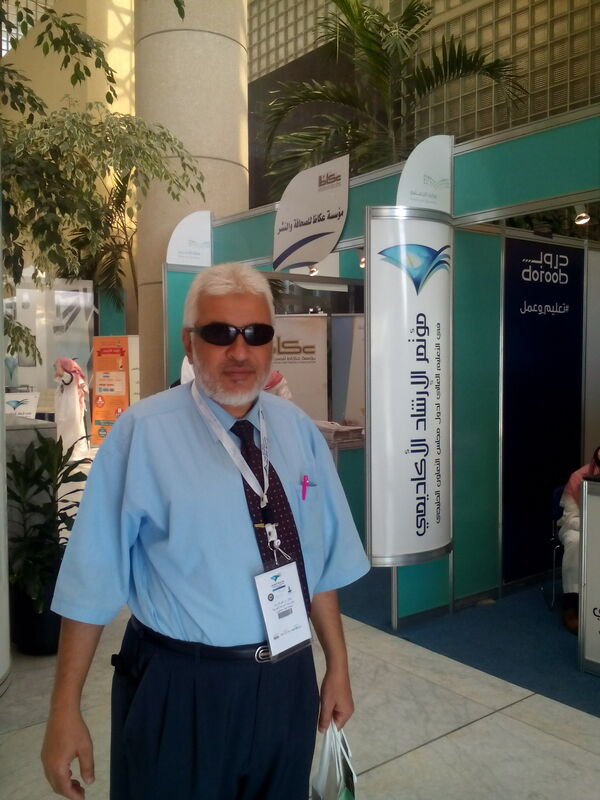 A.
Assiut Vet. Med. J., 50, (102):301-314, 2004. 31- Clinical Assessment and Management of Equine Wounds. El-Sayed, G.A. ; Zaghloul , A.E. and Karrouf, G. I. A.
Kafr El-Sheikh Vet. Med. J. Vol 2 No. 2, 107-127, 2004. 32- Differential Diagnosis and Correction of Left Abdominal Tympanitic Resonance in Cattle and Buffaloes. Fouda, T. A.; Zaghloul, A. I. and Karrouf, G. I. A.
Suez Canal Vet. Med. J. VII. (2), 2004. 33- Surgical Correction of Rectovestibular Lacerations in Equine Mansoura Vet. Med. J., 5(2): 95-110, Dec., 2003. The Third International Scientific Conference, Faculty of Veterinary Medicine, Mansoura University, Mansoura, Egypt. 29-30 April, 2003. The Second international Sc. Conf., 8-9 April 2001 P.1115-1127 Mansoura. Mansoura Vet. Med. J., (1-18): Vol. IV., No.2: 1-18, 2002. A.E. Behiry, A.E. Kandeel, G.I.A. Karrouf and H.S. Hussein Zag. Vet J., 29 (2): 158-169, 2001. G.A.E. Youssef, M. Gad and G.I.A. Karrouf. SCVMJ, IV. (1): 65-86, 2001. 40- Controlled Gradual Lengthening and Segmental Mandibular Reconstruction By Distraction Osteogenesis in Goats. 9th Scientific Congress Fac. Vet. Med., Assuit University, 19-20 November: 470-487, 2000. Minufiya Vet. J. Vol. 1 No. 1, 327-346, 2000. G.I.A. Karrouf . Menufiya Vet. J, Vol. 1 No. 1, 201-212. 2000. Beni-Suef , Vet Med .J. 9(3B) : 739-749-1999. 44- Evaluation of Post-screw Dental Implants: Experimental Study in Dogs. 45- Karrouf G.I.A (1993): Studies of Congenital and acquired surgical limb affections in farm ruminant animals in Sharkia Governorate. Master Thesis, Zagazig University.Zagazig,Egypt. 48- Control of eight predominant Eimeria spp. involved in economic coccidiosis of broiler chicken by a chemically characterized essential oil. ApplMicrobiol. 2015 Mar; 118(3):583-91. Doi: 10.1111/jam.12731. Karrouf G.I.A, Samira Al Senany. J. Phys. Ther. Sci. 27: 2803–2806, 2015.